So I said I would come back here and share with you my progress with catching up with my 2014 Project Life album. This album is centred around capturing my son's first year. So it begins at Feb 6 the day he was born through to his first birthday. I sort of got lost somewhere when I began to get really bad sciatica and needed surgery. 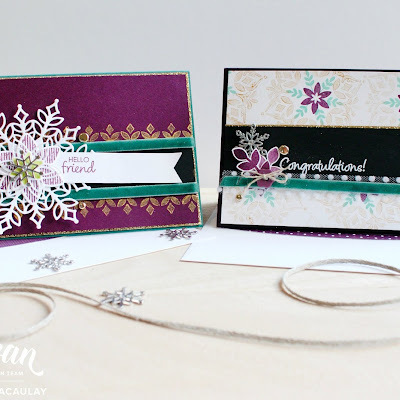 I just couldn't sit to scrapbook, so here I am in 2015 catching up! 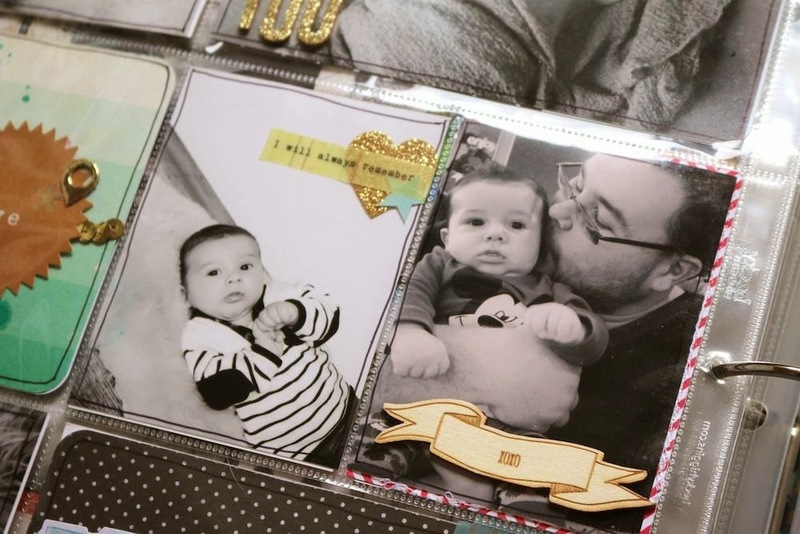 I am lucky that whilst I didn't keep up with the scrapbooking part of it I had printed the photos and put them in the slots. I had also picked colour combinations and cards for each page. This makes it really easy because when I have time I can just sit down and scrapbook a spread. 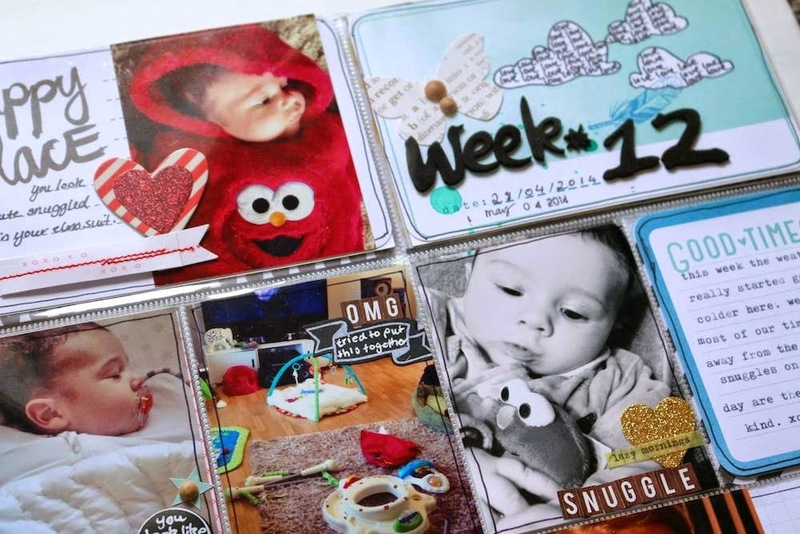 I had planned on having a spread for each week of his first year however some weeks especially when I was sick I just couldn't take enough photos. I ended up having to move in with my inlaws when my back got really bad and whilst that is something to document in itself there wasn't much I felt up to photographing when I was on bed rest for so much of the time. So...anyway. I didn't work in chronological order and towards the end of the year when I was feeling better I scrapbooked the current weeks as I felt that journalling them as we lived them would be easier. I had written notes for the weeks that I had to catch up on! So here is week 12. This feels like forever ago! My baby was only three months old :( Where has the time gone? He is now thirteen months old! Now for some close up images. 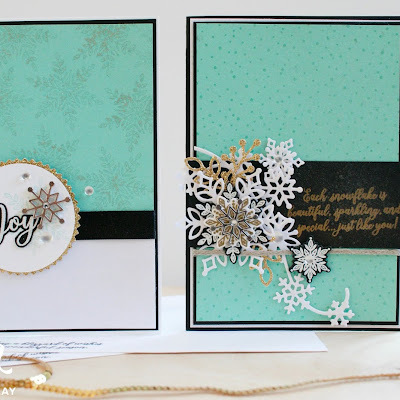 I added a bit of gold glitter accents to the cards. I don't think this gold and glitter trend is going anywhere anytime soon. 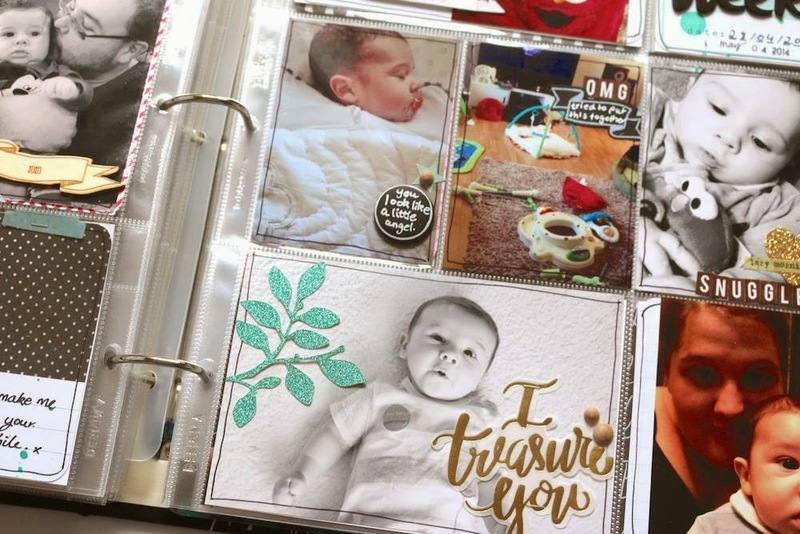 It seems to have lasted a lot longer than other trends I have seen in the scrapbooking industry over all these years. 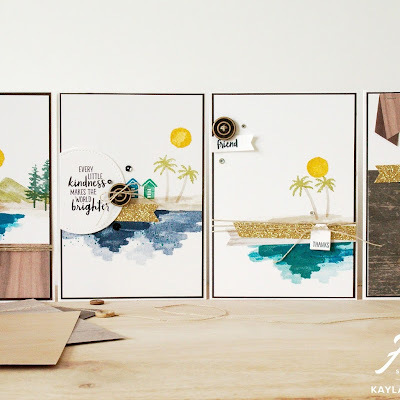 I added the gorgeous xoxo wood veneer banner for a Studio Calico kit. I wish they made these and sold them by the packet. I love the etched designs on them! I loved how my title card turned out. I used the Amy Tangerine Plus One brush script thickers to create the title card and I used the clouds printed on this 4x6 card from the Dear Lizzy Daydreamer Project Life mini kit to do some journalling. I thought it was a good use of space! So I really hope you enjoyed a look in my son's album. I really find this album special. I really love doing it and I thin kit's because I have so many stories to tell as a first time Mum. Every day is a new adventure and a new learning curve. Motherhood is tough but ever so rewarding!